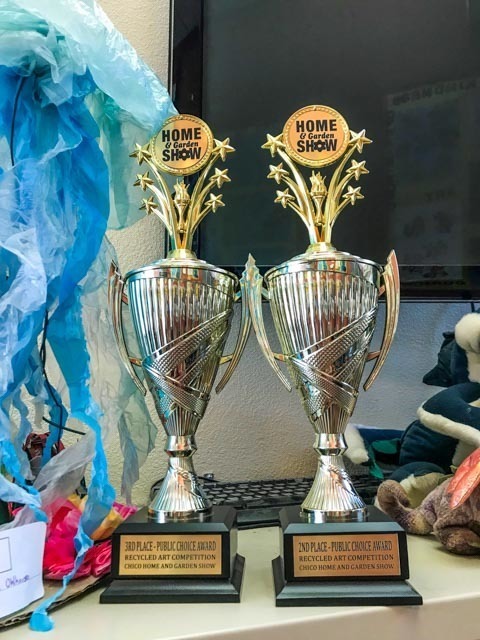 Two Hearthstone students brought home trophies from the Fall Chico Home and Garden Show's recycled art competition (The Science Fair of Art) held October 27th and 28th at the Chico fairgrounds. 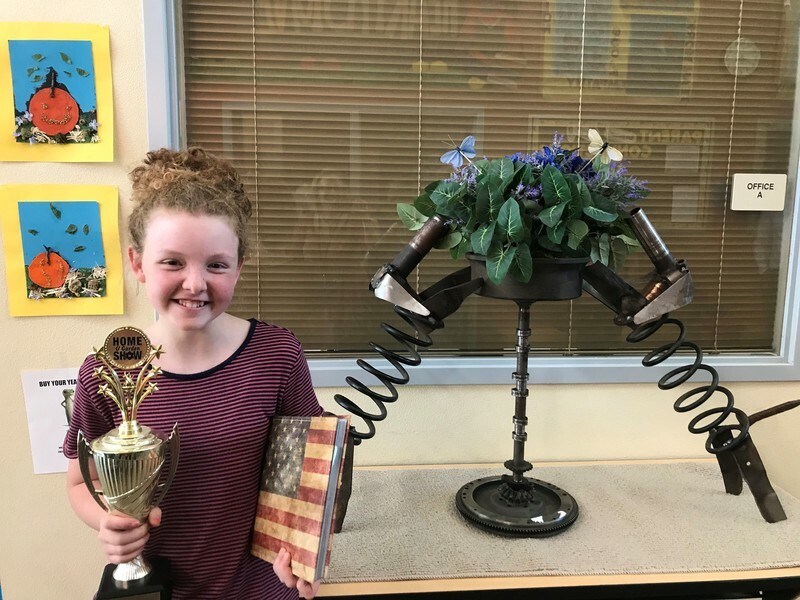 In the "Public Choice Award" category, Aurora Loomis, a Hearthstone 6th grader, took 2nd place for "Pick-n-Pull Puppies". 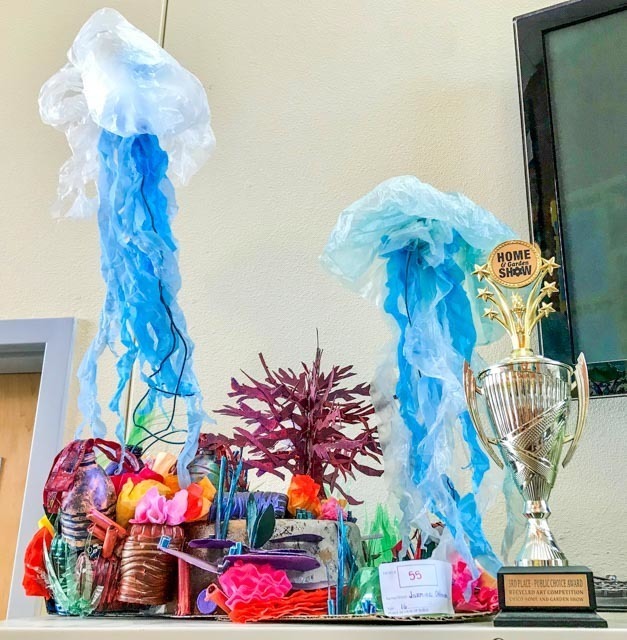 Jazmine Ohlhausen, a high school student at Hearthstone, came away with 3rd place for "Jellyfish". Last year, one of Hearthstone's students won an honorable mention award. "Pick-n-Pull-Puppies" features upcycled metal parts from a local pick and pull. With instruction from her grandfather, Aurora cleaned and welded the parts together to form a playful sculpture. "Jellyfish" features recycled plastic bottles, wires, plastic bags, and brightly colored paper to form a captivating, seascape. Congratulations to Aurora and Jazmine for their innovative art projects!! Hearthstone school is a home school/hybrid program at Butte County Office of Education. To learn more, visit Hearthstone online at: https://www.bcoe.org/o/hearthstone. Above: Aurora Loomis with "Pick-n-Pull-Puppies"